Do you spend long hours sitting at a desk? A back cushion can help relieve the stress of sitting all day. When you have a job that requires you to sit for long periods of time, your back can suffer. Not only will you experience physical pain and tension, but subpar posture can lower your energy and focus levels. And when you’re at work, your ability to focus is crucial! Switching to using a standing desk part of the day can help, but what else should you do? Office chairs typically don’t offer the type of support you need during long work hours. So if you’re experiencing pain or tension in your back, getting some extra help in this area is very important. You might be surprised at just how much this can transform your work experience. Our favorite is the LoveHome Memory Foam Lumbar Cushion for its smart design and affordable price. Before you choose a lumbar support cushion for your office chair, there are a number of factors to consider. These will help you find the best option for your specific needs. Many lumbar support cushions come with adjustable straps. These straps enable you to secure the pillow to different types of chairs and tighten the cushion as necessary. This can be an important feature to look for, especially if you plan to use your pillow on multiple seats. Everyone’s body is different, so a “one size fits all” approach doesn’t always work. If you have a very pronounced curve in your spine, you may be better off choosing a round pillow. If the curve in your back is less exaggerated, a flatter pillow may work better for you. The materials used to make the lumbar support pillow are also worth considering. While most options are made with memory foam, look closely at the descriptions for how firm the pillow is. Some cushions will have a firmer design, while others collapse more easily. What you choose will be a matter of preference. Another factor that the materials in the pillow effect is breathability. If you tend to get hot easily, try to choose a pillow made with breathable materials that don’t trap heat. Price is another important factor to consider in the pillow you select. Thankfully, lumbar support cushions are very affordable. I’ll include a variety of picks for every budget below. Next, I’ll cover our top 5 picks for office chair lumbar support cushions. As you’ll notice, most of these products can also be used in the car or on public transportation, too. The LoveHome Memory Foam Lumbar Cushion can help mid and lower back pain and tightness from long periods of sitting. We chose this pillow as the best overall pick because it offers high value and great user feedback at an affordable price. 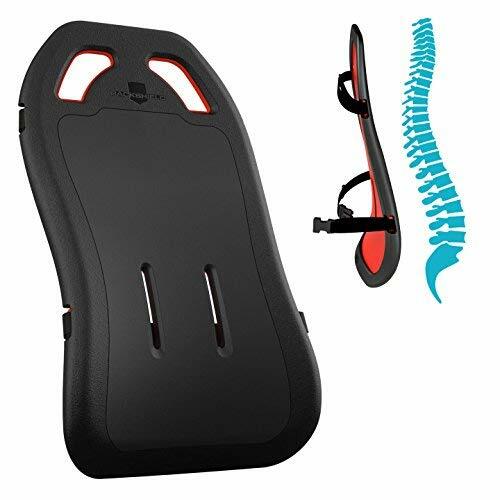 This product encourages a natural curve in your spine for a healthy posture. The LoveHome Cushion has an ergonomic design with quality memory foam that stays firm and maintains its shape well. It comes with adjustable straps that help keep the pillow in place. And it has extension straps that make the support fit onto a variety of seats. You can use it in the office, while driving, or even while sitting on your couch and watching TV. The Lumbar Support Roll Pillow is an affordable product made with hypoallergenic memory foam. Memory foam reacts to your body heat and molds to your unique shape to offer custom support. You can strap this pillow around your waist or put it on your office chair for lower back relief. The foam used in the pillow design is high-density, meaning it maintains its shape and stays comfortable over time. Designed to absorb pressure and minimize tension while you sit, this cushion prevents you from slouching and encourages healthy posture. 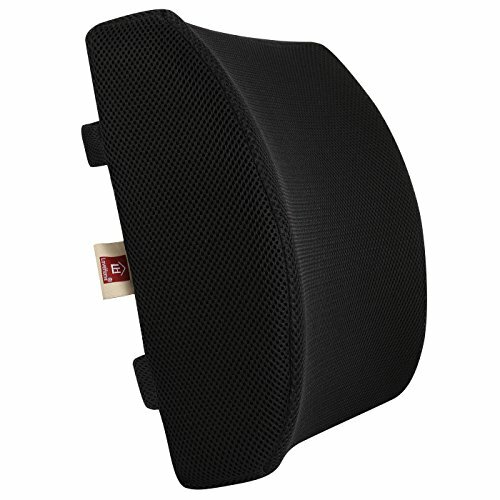 The BackShield Support Pillow is designed to encourage a natural curve in your spine. Instead of having to constantly remind yourself to sit up straight, a pillow like this effortlessly improves your posture. This is a good product for working long hours in the office or even adding to the seat in your car for long road trips. The ergonomic design is made to alleviate pressure in your whole back rather than just your lumbar area. It can also help reduce tension in your shoulders and neck. 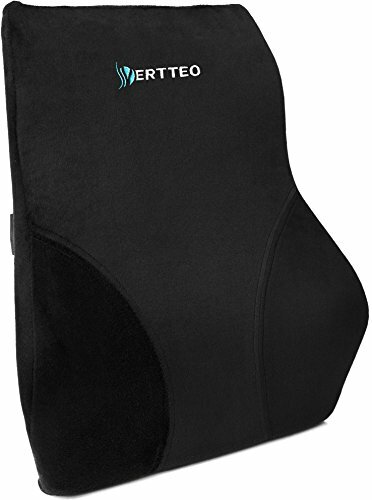 The Vertteo Full Lumbar Back Pillow works for all types of seats, from buses to planes, trains, cars, and of course, your office chair. 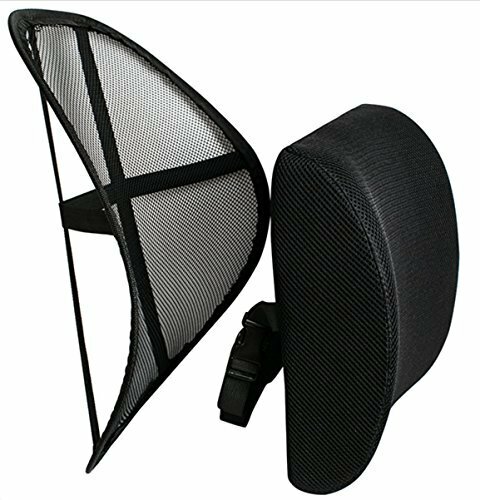 It has a tall design to support your entire back rather than only targeting the low back. 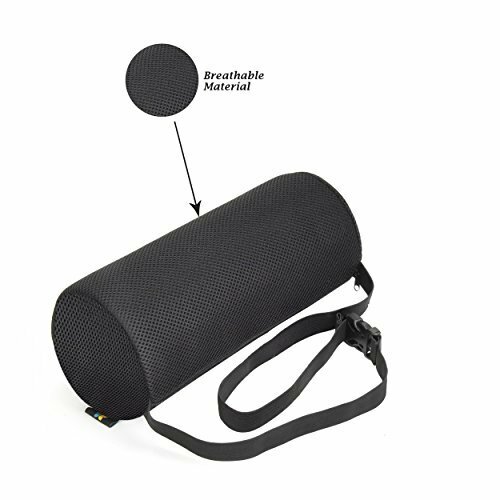 It uses memory foam for a comfortable, contoured fit and comes with an adjustable strap. The included secure clasp holds the pillow in place. It comes with a zippered cover that you can remove and machine wash. In addition to working well for the office, pregnant women may find some lower back relief with the Verteo Full Lumbar Back Pillow. The Sweet Relief Pure Memory Foam Back Cushion is a travel-friendly back cushion made with high-quality memory foam. We chose it as the best option for cool support because it’s made with breathable mesh that reduces heat buildup while you use it. It comes with an elastic strap that makes it easier to use with certain chairs. The Sweet Relief Pure Memory Foam Back Cushion helps you maintain a healthy, neutral posture over many hours of sitting. Working without proper lumbar support can do some serious damage. This can cause you pain and tension not just in your back, but in the rest of your body. A high-quality lumbar support cushion for your office chair can transform your work experience. As you sit up straight, you’ll notice you feel more energized and less tense during long hours in your home office.